Tin Nguyen was born and grew up in Vietnam, and was educated in Canada and the U.S.A. He resides with his wife and son in Hillsboro, Oregon (USA). Tin worked for fifteen years as a software design engineer, after earning a Bachelor’s degree in Mathematics and Computer Science, and a Masters degree in Computer Science. He also holds a doctoral degree in Intercultural Studies. Since 2010, while working full time, Tin has held training seminars and workshops related to social transformation in countries that persecute minorities. 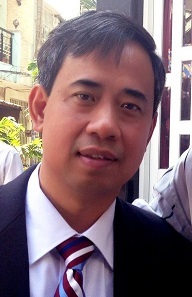 He has recently shifted his major work to leader training in Vietnam, Malaysia, Canada and USA.